You’ve seen and heard it all – the good, the bad, the funny. And now, the craze that’s shaking our generation is finally made into the industry you understand well in and out. Fidget spinners, the hottest toys in town, are sparking a conversation you’ll want to join. Studies suggest the attention span of the average person has decreased with the digital age and let’s face it, online advertising has made it all the more complicated and confusing. But the fidgeting device psychologists argue can help kids focus on their school work, can also help you gain the attention of your customers. The must-have gadget came out of nowhere earlier this spring, and it’s made waves everywhere from the classroom (with the occasional banning controversy), to a collective of parents and professionals praising its benefits for both children with autism and ADHD. And so as a trend was born, so was a new market of opportunities for your business. The fidget spinner is not the most complex of tools, but the truth is everyone fidgets and they allow us to do just that – fidget: the things we try and avoid the most in circumstances that call for our social skills. 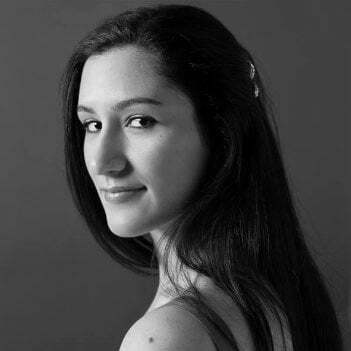 While fidgeting occupies parts of our brains and distract others that let us make important decisions in life and death situations, studies show that diverting our brains with bodily movements is actually part of the thinking process and can help the flow of creative expression. 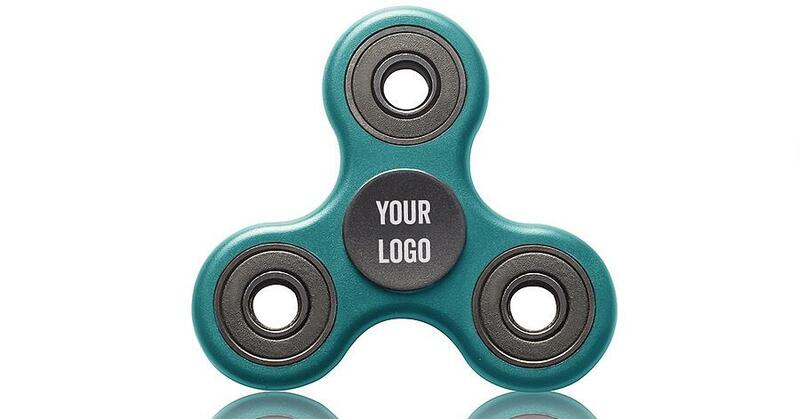 In short, fidget spinners are the tool some of us need to stop thinking about why some tactics seem to be more effective for some brands than others (aka our own) on Facebook, and clear the pathway for decisiveness and risk-taking. Although it is a little late for the Sonic the Hedgehog idea, this ultimate run concept was definitely creative of the artist. How-to time lapses are popular, and get your brand or website a little extra traction. Tossing the fidget spinner to the bottom of the ocean may have been a little drastic, but I have to give it to Matthew Silver - he stayed true to his character. Find a way to incorporate it into how you deliver your unique message, and let the internet take care of the rest. As your video becomes popular with the help of the internet (social media shares, websites and e-mail), your clever idea can be the doorway to popularity within your niche. 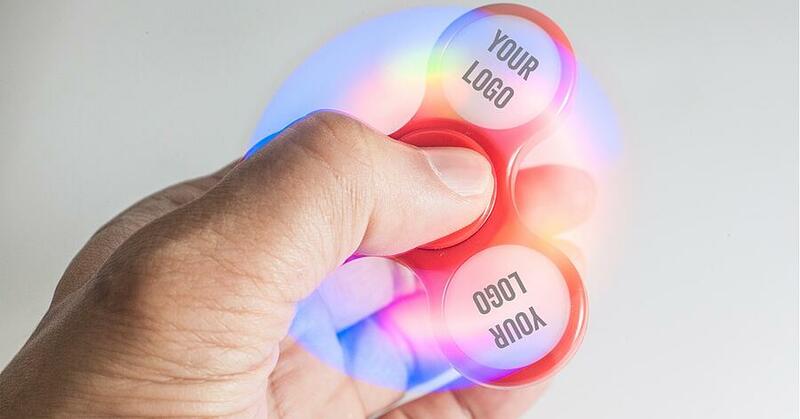 The light-up fidget spinner toys have a shatter resistant and weightless built, a three color and blinking light setting, and don’t require batteries. Guaranteed to get more eyes on your brand, the best part about these is that even adults can rejoice. The attractive light settings are probably a little too effective at taking the attention of them worries, but will definitely distract others around you. It will be best to keep them off classroom and the office. As standard as it gets, the classic design has a comparably longer spin time than the light-up style. High-speed fidget spinners come with removable parts for easy maintenance, and a heavy stainless steel built to stand up to wear and tear. 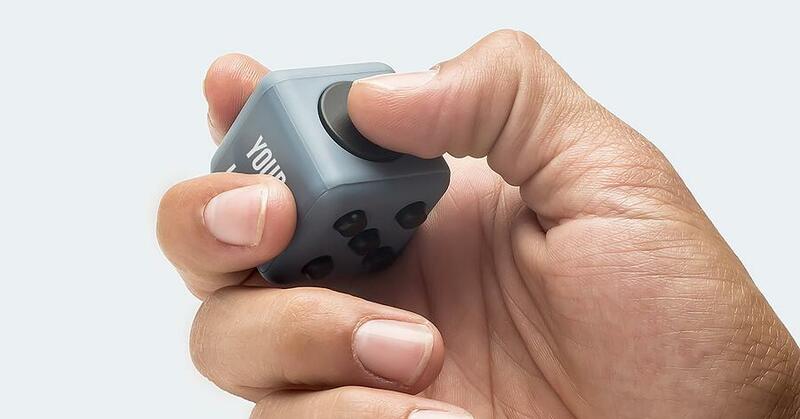 The fidget cube turned up back in 2012, and it really is for anyone with floating attention. In comparison to the spinners, the cube has multiple settings that allow for clicking, gliding, flipping, rolling, spinning, and a smooth side you can rub to reduce stress and anxiety (and add your logo). Finally, if you really want to stir a revolution you’ll have to step way outside of the box (and probably a little bit of your budget too), to build your own fidget spinner. 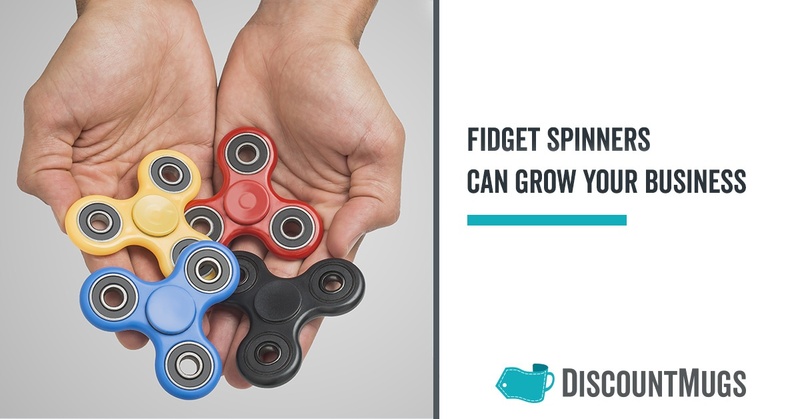 Yes, the fidget mania peaked with the Harry Potter Snitch Fidget Spinner, but there are more affordable ways to build your own and get the attention of your audience. Here’s the Snitch Fidget Spinner in case you missed it. Okay you got me, it’s because I really liked it (a lot). Although some adults won’t get why the fidget spinner is such a hit, reality is the fad is here to stay. Can it be the antidote to our attention deficit? It’s too early to tell, but the stress relieving toy is a powerful marketing tool that'll definitely make it to the top 10 items to define our generation. Let us know in the comments below how the satisfying fidget spinners have helped your business.